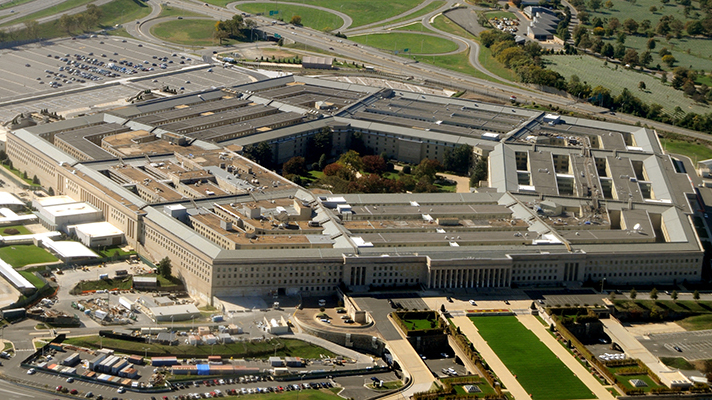 While circulating reports say DoD has paused its Cerner EHR replacement project amid user complaints, the agency is in the middle of a planned eight-week assessment period at its four test sites. The decision to replace the U.S. Department of Defense’s outdated ALTHA was one embraced by officials and its clinicians, who often complained of disparate systems that couldn’t speak to each other. The tech was also far too expensive to maintain. DoD officials spent three years planning the replacement, and when the last of the four test sites went live in October at the Madigan Army Medical Center, everyone waited anxiously to see what would happen next. Officials have been relatively quiet on the project, outside of a few media calls in the fall that hailed current progress. But recent reports have said the silence is due to a pause while the agency handles the mass amount of user complaints. In order to address some of the concerns brought to light by users, project managers are looking at all four site configurations, Norley explained. Project officials are taking user feedback and adjusting workflows -- and in some cases adjusting software. Further, the team has focused its efforts on updating the configuration of the test sites, assessing the issues and tech in order to prepare for the next wave of deployment. Norley said that once the configuration is set up, the next wave of rollouts will continue. But this period of “lull” shouldn’t come as a shock. This assessment period was actually part of the original plan. In fact, the 8-week period is actually truncated from the original intent. In May, the assessment period will conclude and the program will go into a critical review -- the final stage explained Norley. Leadership at all four sites will get together to approve the pieces of the system that are functioning -- and those that aren’t. The trouble is that some sites like Fairchild Air Force Base have been operating on the system for more than a year. Perhaps some users came in excited to work with the program, but found issues and reported it to the ticket system, he said. Norley admitted that not all tickets have been resolved or responded to as DoD has received at least 17,000 user complaint tickets since the project launched last year. Officials have addressed 11,000. The way the system is set up, the user dictates whether an issue reported is critical. Norley said the trouble is that while the user may find that issue critical, those in Washington, D.C. may not. However, while those tickets may not have been responded to in the way the user intended, all issues will be addressed during the critical review period. But a change at one site makes changes to the entire enterprise, so Norley stressed that those major changes are being included in the assessment period. Officials have taken consideration all workflows and where the platform would be at the end of the project. To Norley, it’s important now to make those adjustments to training and how the system is set up, in order for officials to sign off on the project -- and further the rollouts. The initial rollouts have all been part of a planned test phase for the EHR project, to make sure the agency gets it right. And Norley stressed part of those adjustments will likely be made on the ticket system to address those user concerns. It’s crucial DoD gets it right. Congress has pressed the agency to improve its system -- and its interoperability with the Department of Veterans Affairs for years. Efforts to work together in the past have failed, but it seems both agencies have turned the page and are dedicated to creating an interoperable system for its 16-17 million constituents. But while VA Secretary David Shulkin, MD, has pushed back the timeline for signing its own Cerner EHR contract due to interoperability concerns, Norley stressed the VA’s decision has had no impact on the DoD project. While Shulkin is looking for the best system to work across the public and private sector, Norley said the DoD’s MHS Genesis has a unique configuration. The agency implemented a number of interoperability goals and for now the agencies share data with its legacy eHealth exchange. The next stage of MHS Genesis rollouts are planned for late spring in Southern California.